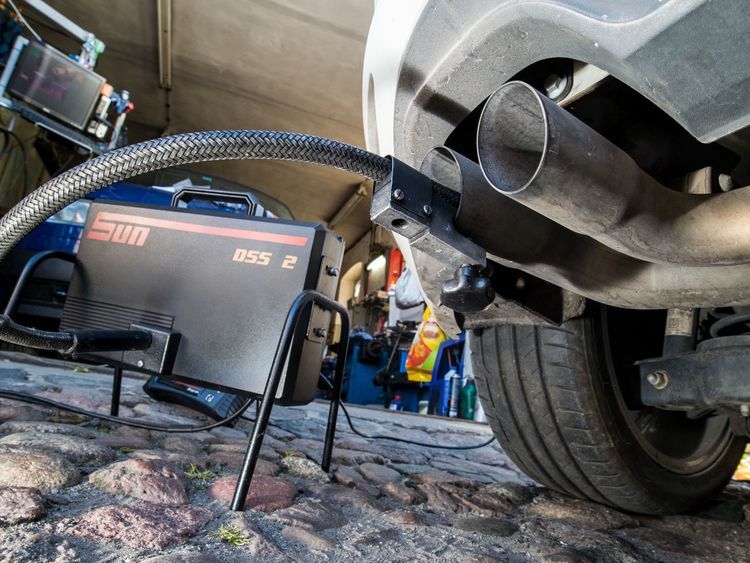 Volswagen has fixed only about two-thirds of the 1.2 million vehicles in the UK affected by the dieselgate scandal, according to the chair of a Commons committee. Mary Creagh MP, who heads the Environmental Audit Committee, said Department for Transport (DfT) figures covering up to September 2017 showed the company's repairs had "stalled". It had previously pledged to fix, by the autumn, each car within the group fitted with software designed to cheat emissions testing by producing lower readings in lab conditions.It emerged in 2015 that 11 million vehicles worldwide were affected - with the company forced to cough up $30bn to cover the cost of the resulting scandal.The bulk of that sum covered compensation and penalties in the US.In the UK there were 508,276 VW cars, 393,450 Audis, 131,569 Skodas, 79,838 VW commercial vehicles and 76,773 Seats identified as requiring the company's fix. Ms Creagh said: "It is over two years since the VW emissions scandal was discovered. "A third of vehicles have yet to be fixed and rates have slowed considerably. "We have written to the DfT to ask what action they are taking in response to the stalled progress. "It is essential that the vehicles on Britain's roads adhere to emissions regulations, particularly as the country is faced with dangerous levels of pollution. "The department must take responsibility for ensuring that these fixes are completed as soon as possible. "While VW has committed to a programme of punishment in the US, it has refused to pay compensation to drivers of cars affected in the UK and wider EU on the basis it broke no laws.Sky News has contacted the firm for a statement on the progress of its fix programme.It is continuing at a time when the future of diesel cars is under severe pressure - with VW signalling that its development work is focusing purely on hybrid petrol and especially electric technology.A DfT spokeswoman said: "The UK Government continues to take the unacceptable actions of Volkswagen extremely seriously and is working hard on behalf of UK consumers. "Officials in the Department for Transport hold monthly meetings with representatives from Volkswagen for information on the number of updates applied across all of the affected brands and to press them on remaining issues."